To perform installation you will need Internet connection, as part of the packages are downloaded from on-line repositories. The hardware needed for VapourApps to install all 6 Apps depends mostly on the amount of storage you use and users in the company. In most cases, this hardware should be enough for 30 active users, 300GB of files and 300GB of e-mail storage. Cinder is a block storage system that hold the data for applications such as file-sharing, backup, e-mails, cloud-storage. Important: Needed storage will highly depend on the company needs and number of employees. More space provide larger mailboxes, more files storage and longer backup history. After downloading the ISO you can either burn it on a DVD or make an USB installation media with a tool like Rufus. For testing purposes you can also run it in Virtual machine emulator like VirtualBox. 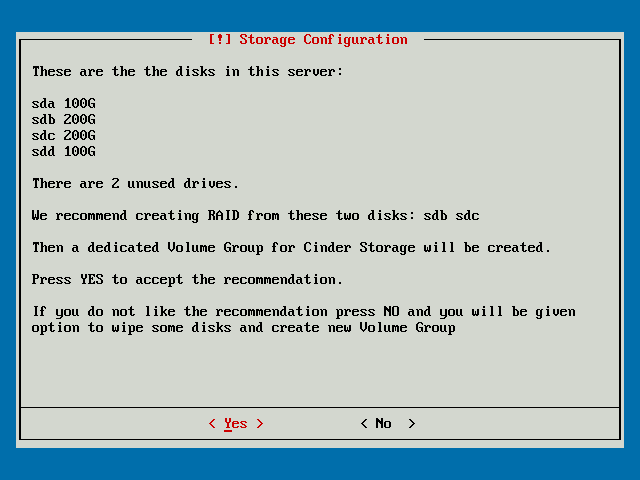 If you are installing on a physical server, we recommend to use blank disks without data. 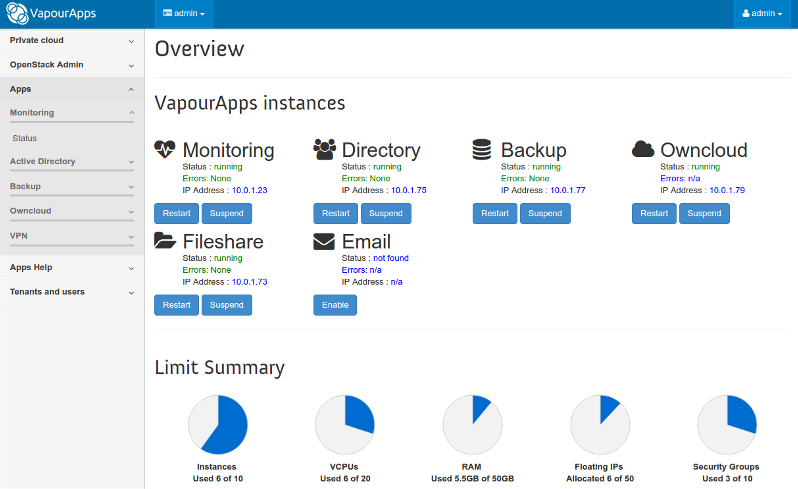 The easiest way to install VapourApps is to use the Auto mode but it will destroy eventual data on HDDs inside. 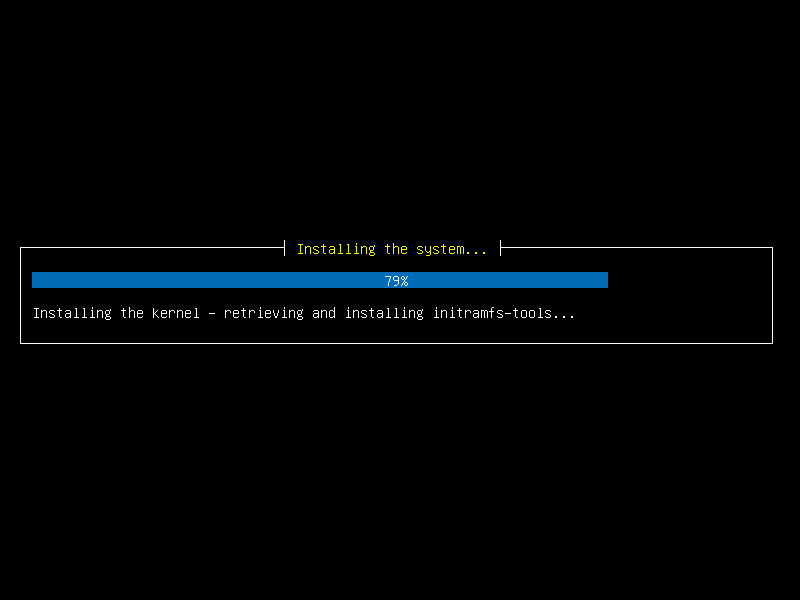 Auto mode is unattended install, only confirmation for the partitioning setup is needed. It will decide what is the best combination for storage setup, auto create RAID level 1 if possible and make partitions. Other options are “Install on first HDD”, when installer use the first disk (sda) for operating system and “Install with manual partitioning” when you are presented with a tool to make your own setup. The last option is recommended for advanced users only. After the base is installed the system will reboot and second part of the installation will begin. Remove the install media before continuing (CD/USB). The wizard will guide you to fill company data, passwords, IP address pool and Cinder Storage. It is a good idea to write down all information that you enter. 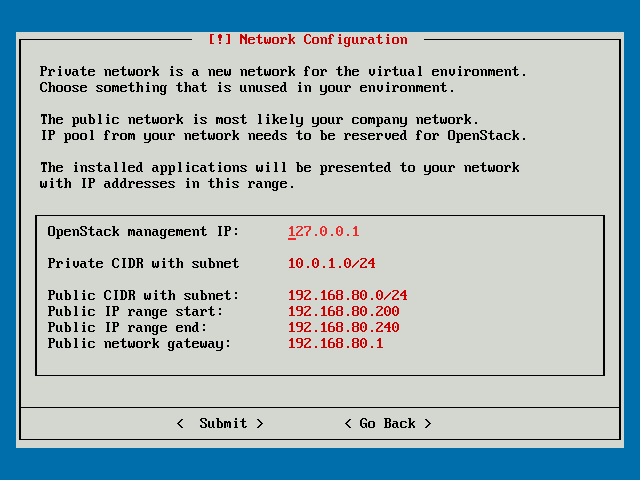 When setting up networking for the virtual environment (Private CIDR with subnet) please choose range that is not used anywhere in your network. This will prevent you from having routing issues later. The last parameter is storage. The wizard will give you optimal recommendation. If you do not like it, you can choose other options and eventually wipe some disks before continuing. VapourApps also support multi-tenancy and can be installed on multiple servers. However, these features are not bundled into the current version and will be made part of future releases.